Real grinds : 1/2 a year to accomplish a game goal. Once again I am playing World of Tanks. The nicest side effect of that, is it gives me something to write about on the blog. Look ! I just randomly played a game from my Steam List ! There’s just nothing to blog about if you casually pick games and play them a few minutes each until you get bored – or your family needs you. Really, the format here is going to be much kinder on games that you play in-depth. One thing I managed to do was “Complete” Flatout 1. It’s quite a fun little racing game, with an awesome metal soundtrack. It takes me back to the era of Destruction Derby for the PC with its ugly racing. I heartily recommend putting it on your Steam wishlist and picking it up for cheap, on sale or not. 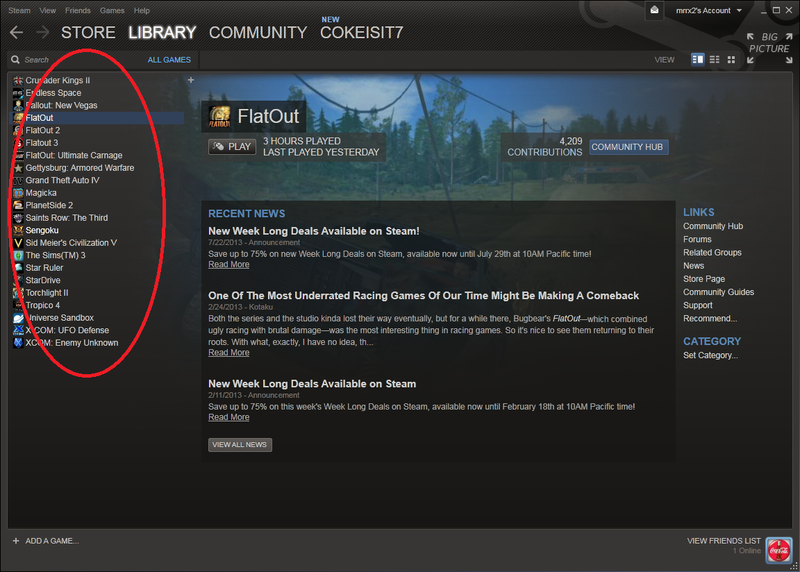 And I may go further with Flatout 2, but not at the moment. No, for the moment I’m once again grinding tanks. 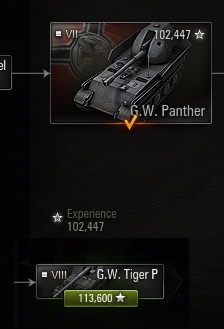 Two modes of play are happening – one is the familiar XP grind with an expected contingent : S-51, GW Panther, Tiger II, T32, Jagdtiger. 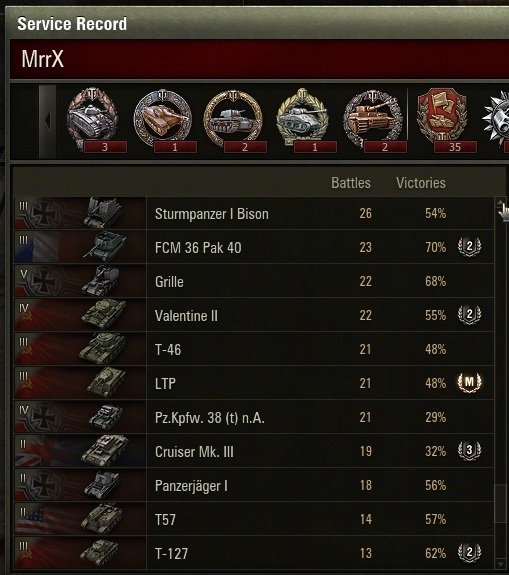 I’ve been playing these tanks forever; the arty were purchased about 2/10/13, and the others shortly afterwards. I’m finding I enjoy playing the arty, post nerf. Why ? I think it’s less pressure. There’s less of the random arty hate expressed during matches, there are fewer players, and fewer expectations from tankers during matches; with the notable exception of the guy on Fisherman’s Bay who thought I could cover both sides of the field and was not pleased with my decision to concentrate on the city. I enjoy both equally, and am surprised to find I have an enviable win rate with the S-51 (57%) versus the GWP (47%). And from here on out it’s all about progressing the GWP, which is close to the next unlock. Rounding out the XP grind list is also the MT-25, and the Somua S40. With the derp cannon the Somua becomes an interesting beast. Point the first : Derp cannon shreds the opposition if you can bring it to bear. Point the second : This is a TD that cannot peek around corners at all. Not in the head-in-then-turn sloppy style, but also in the gently curving looking-around-a-mountain style. The enemy can see it, shoot it, and stay under cover, while not giving you any chance to fire. Having made this discovery, it’s now a challenge to find useful hiding places and try to more shoot-and-scoot no matter what. The XP grind is the first gaming – method? – I’m employing. The second is taking my stable of newish light tanks and racing them up from the bottom of the standings list. This is bringing XP to my MS-1 crew without the necessity of having an MS-1 match; and I am waiting for the day (after hundreds of matches, probably) when the additional crewmen I have complete their BIA perk so it will be effective on all of them. Movin on up! T-127 is the lowest active tank on my list. This includes playing the LTP, which is simply an asskicker and probably will get nerfed; the T127 playing as the medium in a gaggle of light tanks; and the Valentine playing the damage sponge and shot bouncer that can’t actually kill anything. Add in the M3 Stuart (which is not much fun and I can’t do much with) and the Tetrarch (Lightly armored but heavily gunned – watch the ramming!) and I can fill an entire evening with Russian light tanks.